Foxes are members of the dog family, as too are wolves. A fully grown adult has a body length (head to base of tail) of around 70cm, and its tail adds an additional 40 cm to its overall length. In the wild, few foxes live more than six or seven years, but in captivity they have been known to live to more than twice that age. The mating season for foxes is around the turn of the year. In March the vixen usually has a litter of between two and six - exceptionally eight - cubs, and keeps them safe in an underground lair until they are ready to face the world and begin fending for themselves. 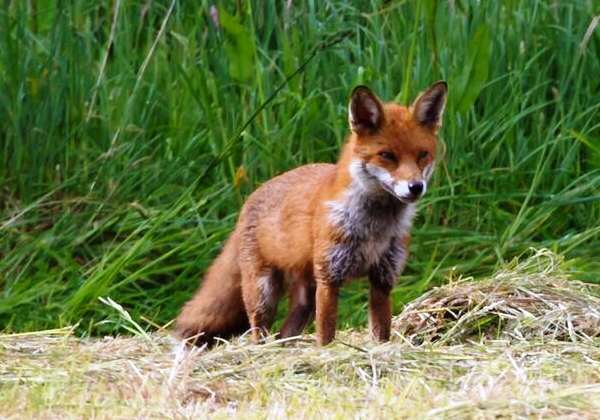 Foxes now live both in farmland and in towns. 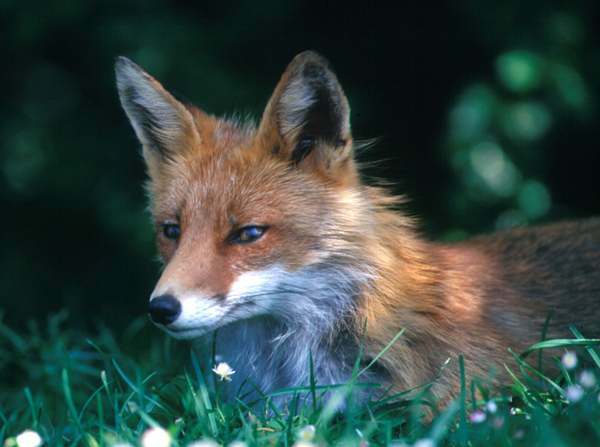 Rodents and other small mammals, as well as birds' eggs, large insects and even ripe fruit are the staple diet of foxes in the countryside, while in towns they have learned to scavenge for scraps, often turning over garbage bins in their search for food. In both town and country, foxes come out mainly at night and usually lie low during the day.